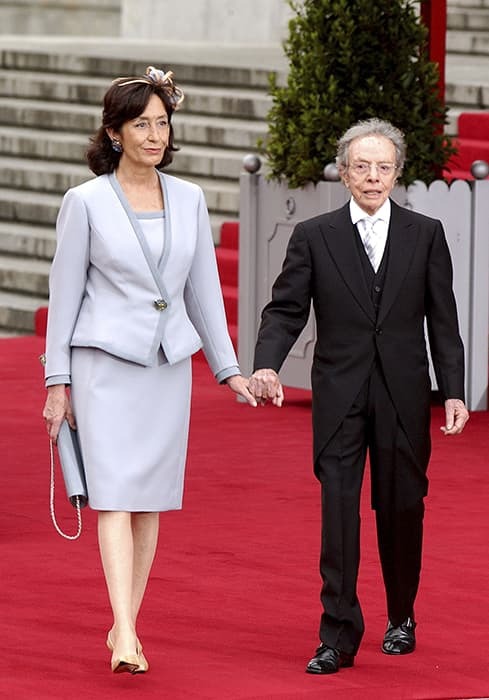 07 SEPTEMBER 2014Manuel Pertegaz, the man behind Queen Letizia‘s wedding dress, has died at the age of 96. The sought-after Spanish designer, who dressed stars such as Jackie Kennedy, Audrey Hepburn and Ava Gardner, passed away in Barcelona on 30 August. Manuel began his career at the tender age of 13 when he got his first job at a tailors, later opening his own shop in Barcelona at the age of 25. In 2003 Manuel was asked to design Letizia Ortiz’s wedding dress for her marriage to the future king of Spain, Crown Prince Felipe. The royal bride dazzled in the stunning long-sleeved, ivory wedding gown which was complete with an embroidered open collar and a 14-foot train.